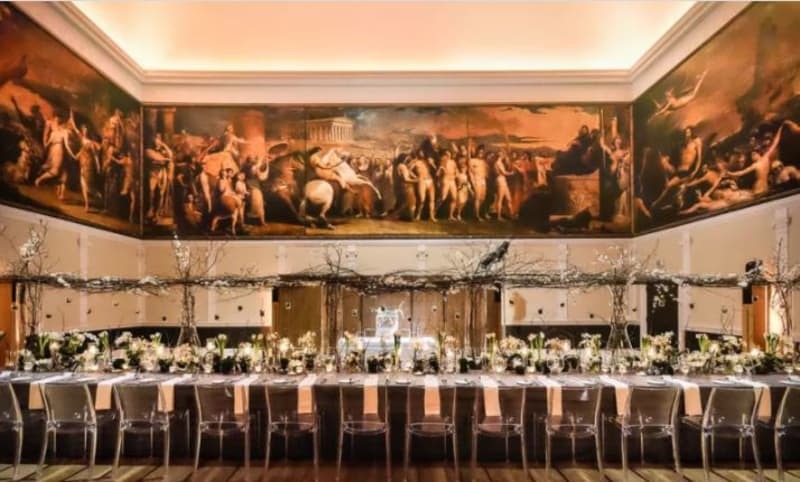 Supplier Stories: RSA House shares the Importance of Communication and Bespoke weddings. This week we’re shining the spotlight on Rosalind Craven, Wedding Co-ordinator at RSA House. Set amidst the daily hustle and bustle of of London’s West End, RSA House is a hidden gem in all its Georgian splendour. Each room is completely unique with its own tale, making it a remarkable place to say ‘i do’ on your very special day. So without further ado, Rosalind over to you! I still sometimes cannot believe my luck that I have fallen into the wedding world as it has always been a dream to work in such a creative and diverse industry, and the perfectionist in me loves nothing more than a flawlessly planned event! Asides from wedding planning and marketing, I enjoy discovering new places to eat with friends, spending time in the countryside or by the coast, listening to all sorts of music and a new hobby this year has been practising calligraphy – which comes in handy when couples are missing a placecard or two on the big day! 2. Share the story of yourself and RSA House. Since starting in the events industry I have worked in many different types of venues and organised over 150 weddings. Having tried working in the corporate events sector, I found myself coming back to weddings because I missed the more personal relationships you build with people and the creativity and challenges involved in planning such intricate events. 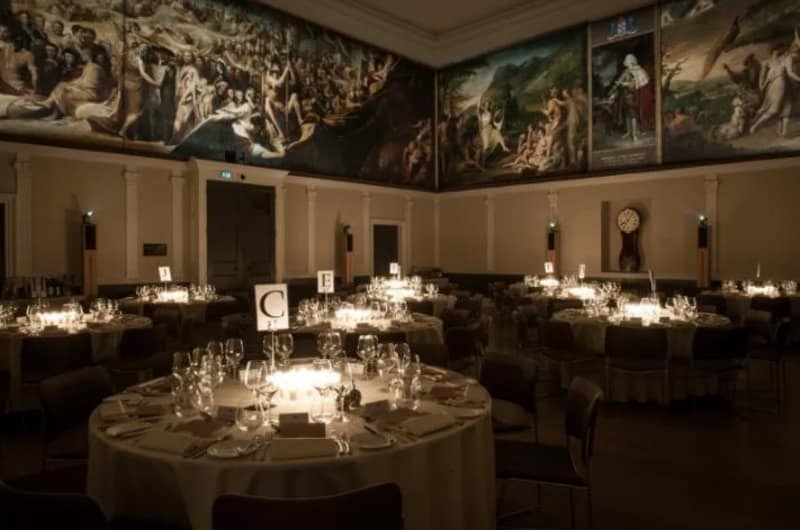 Working at RSA House particularly appealed to me because in addition to having such a fascinating history, all of the profits from the events go back into supporting the brilliant work that the charity does. 3. What do you see as the biggest challenge for couples planning their wedding? I would undoubtedly say that the biggest challenge for couples these days is the overwhelming amount of choice that there is in the wedding market. Then on top of all these decisions to make, people often tell me that they get pulled in every direction by family members and friends who want to help. The most important thing to remember is that it is YOUR day. The final decision lies with you so remember that you don’t have to please everyone! 4. What wedding venue trends are you seeing in the industry? One trend that I am particularly loving for winter weddings at the moment is a move towards choosing more homely, filling and charmingly simple dishes for the wedding banquet. Our last wedding at RSA House requested a bespoke dish for their main course of ‘Bangers and Mash’, which went down a treat with their guests on a cold December day! It was such a lovely, relaxed atmosphere and everyone really enjoyed the food. 5. What advice would you give to a couple who is just starting to plan their wedding? The first step is to find the venue and pick a date! Once the venue is secured, then you can ask your wedding coordinator to give you lots of advice about the best suppliers to use in that area. Venue coordinators will be able to help you in lots of areas, not just related to the venue and catering. 6. How do you feel technology is changing the industry? Although the amount of choice that technology has generated for couples these days can seem a little daunting at first, it is hard to imagine how people used to plan a wedding without Pinterest! All of the information you could possibly need is right at your fingertips and couples have access to a wealth of advice and support from industry experts along the way. Forums are also a wonderful way to be able to chat to other newly engaged couples who might be going through the same experiences as you. 7. How do you get to know your couples before the big day? 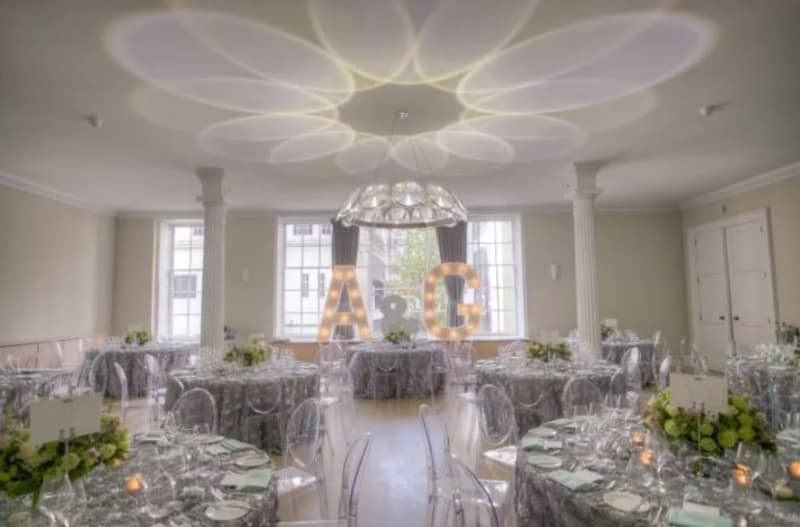 As I look after each wedding we have here at RSA House, it is lovely to be able to see every wedding through from the very first enquiry to the day itself. During the planning process couples are welcome to organise the day via email or in person – whatever suits them best. I often work with a lot of couples who live abroad so even if they cannot visit us in person, I can get to know them and what’s important to them over the phone or Skype. 8. What do you think makes RSA House unique? 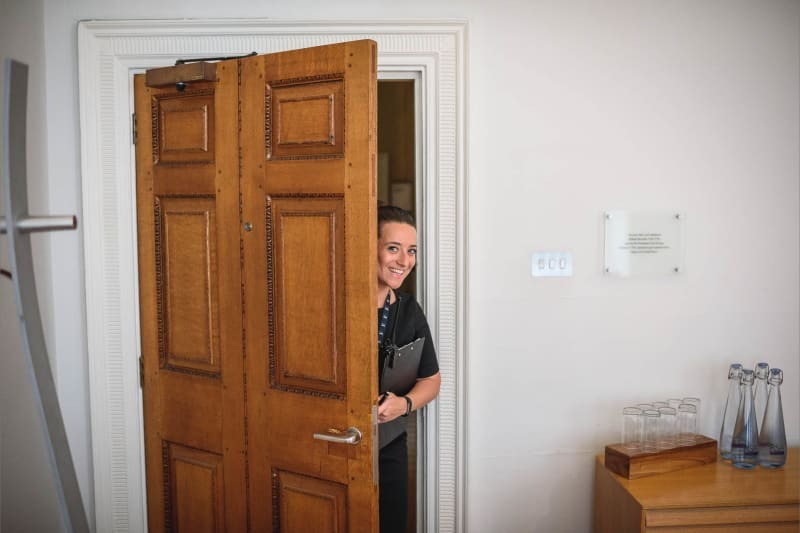 The thing I love most about how we work at RSA House is that in addition to personally looking after every couple that books with us, I am also there on the day to ensure that every little detail we have discussed throughout the planning is always carried through to fruition. 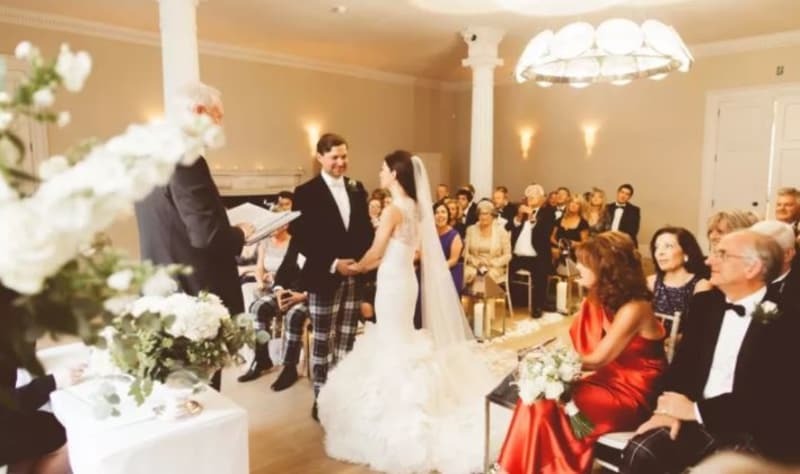 Having worked in several different venues, many may offer a coordinator to help you plan the day but there will be a different person present on the wedding day itself. Having that consistency of communication is such a crucial part of creating the perfect wedding day. 9. What do you think makes for an unforgettable wedding? The best weddings I have seen are when the couple really put their personal stamp on the day. Letting your personality shine through things like the decorations, music, entertainment and food is one way to make your wedding day truly unique. It doesn’t have to cost a fortune, and often it’s the smaller touches like personal family traditions that make the day memorable for everyone. 10. What’s your favourite wedding memory? It would be impossible to name just one favourite memory from the weddings I have organised. However, the best feeling is when you see the couple truly relax and enjoy their day. Nearly all couples say that their wedding day goes by so quickly, so the last thing you want is for them to still be worrying about timings and logistics. It is the most rewarding feeling when they wholly put their trust in you and just enjoy every moment of their day. 11. What do you love about Bridebook? There is such an overload of information available about weddings these days that it can be overwhelming for newly engaged couples who don’t know where to start. Bridebook is a fantastic way to keep all of your planning in one place and get helpful suggestions on how you can take things step by step. A huge thank you to Rosalind for sharing her Supplier Story. See the stunning RSA House in their Bridebook profile.